The 6 small Brüni bowls are superb tableware elements full of charms that will subtly enhance the Scandinavian style of your interior. 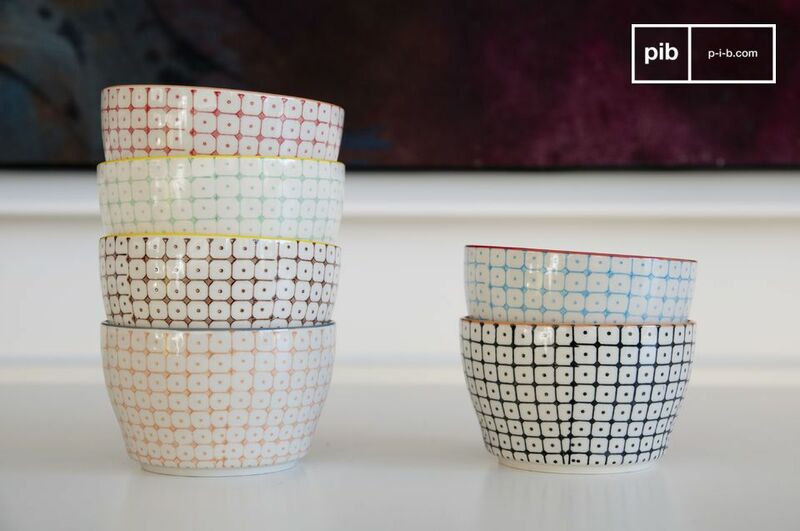 These bowls are entirely made of hand-painted ceramic. They display sublime geometric patterns of complementary colours. 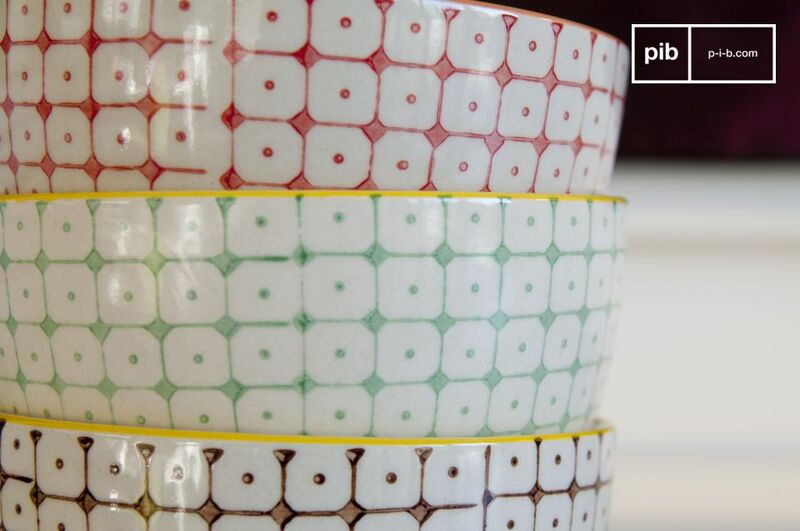 These retro Scandinavian-style bowls will find their place on a buffet at a reception to welcome aperitifs or other toasts to enjoy. They will be perfect to serve your desserts, tea or even as a pocket holder on your coffee table. 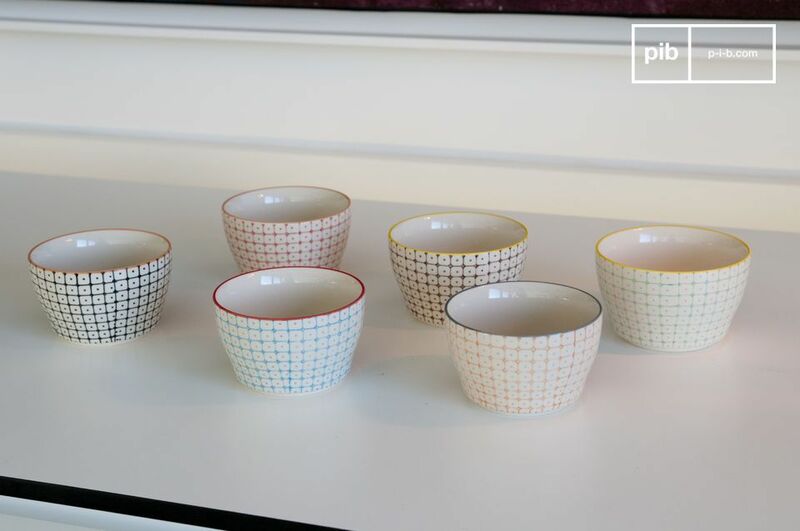 These small bowls will perfectly match our selection of vintage dishes from the Brüni range: coffee cups, long plates and mugs in Brüni porcelain. Take the opportunity to create a customised service in complete harmony.